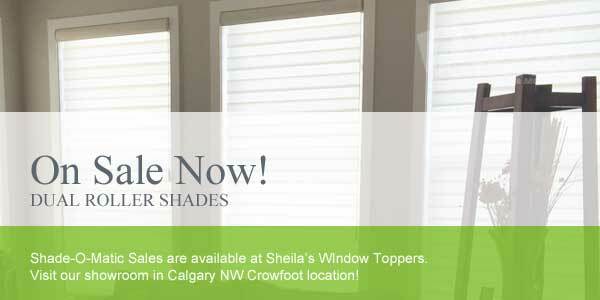 Learn more about Shade-O-Matic Sales at our Calgary window coverings showroom and experience our interactive window covering displays. Our prices are competitive, our sales are the best, and our reputation speaks for itself with service you can trust when you need it most. See you soon! 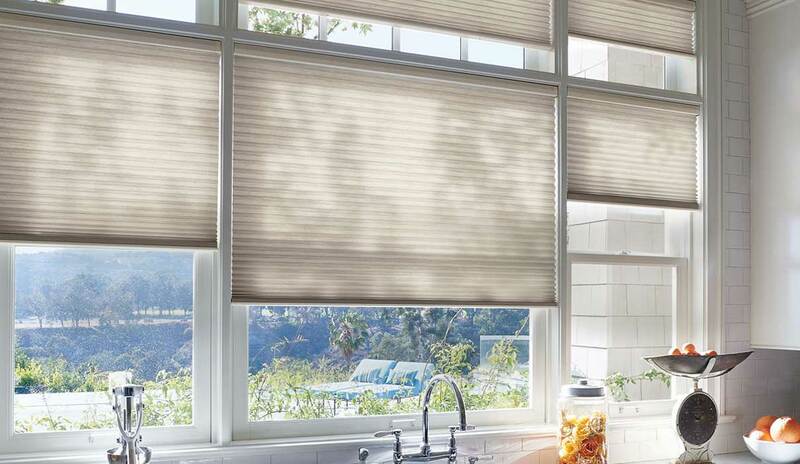 The Concept Dual Shading is a soft shade that combines the light control capacities of a horizontal blind with the soft beauty of a fabric shade. The uniquely designed fabric has alternating bands of sheer or mesh fabric and translucent or room darkening solid fabric within the same shade. 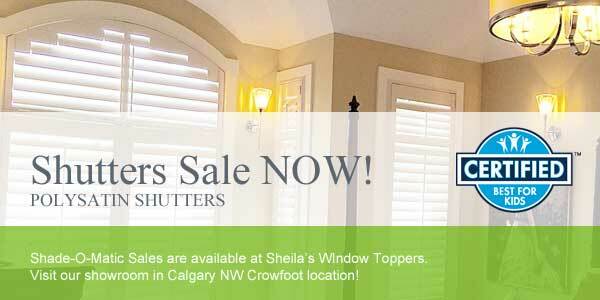 Sheila’s in Crowfoot N.W. offers a full line of window coverings including blinds, shades, shutters and much more through our Store Front location and in home consultation service with in Calgary and area. Shade-O-Matic’s Polysatin shutters are child safe, pet friendly and the most durable window covering. Shutters are an especially good choice for areas of high temperature and humidity such as bathrooms, kitchens and sunrooms. In our Showroom you can see displays of the Polysatin Shutters, Buy your shutters today from a knowledgeable and well trained shutter expert and save. 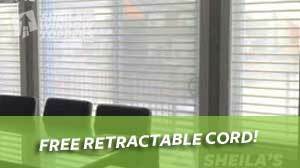 The Free child safe cordless operating system for cellular shades are one of the best and reliable products on the market. Add the room darkening feature and you’ll have the highest rated blackout solution available. The inside of the cells are lined with blackout foil properties, which also provide great insulation against the heat and cold. 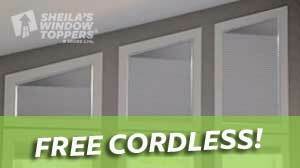 Cellular shades are available with the Free cordless feature and are great for kids rooms…no strings to worry about! A popular window covering for bedrooms because of it’s Blackout characteristics. There are over 150 fabrics to choose from, all in the latest colors and textures. Classic roller shades offer an affordable style with an extensive selection of both classic and contemporary textures and colours.